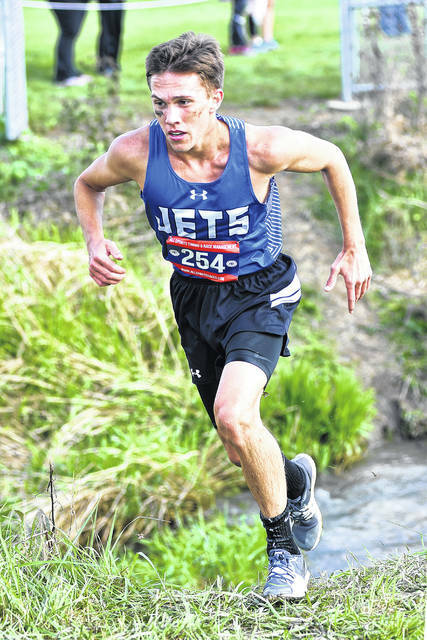 Franklin-Monroe’s Cole Good is one of several local runners that have qualified to compete in the 2018 OHSAA state cross country championships. 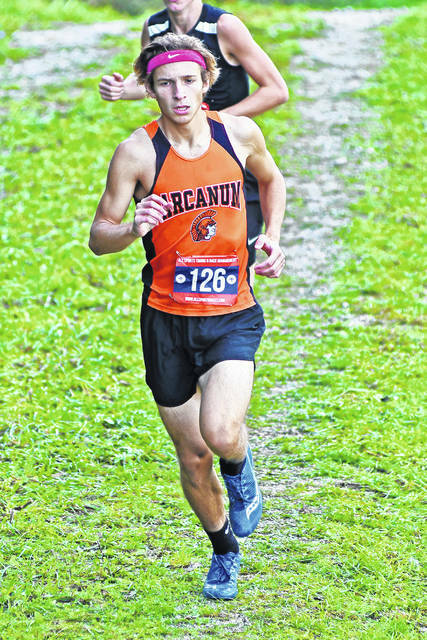 Arcanum’s Tanner Delk is one of several local runners that have qualified to compete in the 2018 OHSAA state cross country championships. COLUMBUS – The Ohio High School Athletic Association has postponed Saturday’s state cross country tournament and is moving the championships to Saturday, Nov. 10, due to flooding conditions on the course at National Trail Raceway in Hebron, Executive Director Jerry Snodgrass has announced. Darke County has several teams and individuals that have qualified for the state championships including Arcanum’s Tanner Delk, Franklin-Monroe’s Cole Good, Greenville’s Isabelle Rammel and both the Versailles and Bradford girls’ teams. The time schedule for the championship races has not changed and will be as follows: 11 a.m. (Boys Division III), 11:45 a.m. (Boys Division II), 12:30 p.m. (Boys Division I), 1:30 p.m. (Girls Division III), 2:15 p.m. (Girls Division II) and 3 p.m. (Girls Division I). Delk and Good will compete in the D-III boys race, Rammel will run in the D-II girls race and the Versailles and Bradford girls teams will compete in the D-III girls race.